The platinum-color Hush Puppies’ Soft Style “Faeth” is no ordinary ballet flat. Its distinctive quilted uppers have a shining patent toe cap and wide ribbon bow with bright metal ornament. 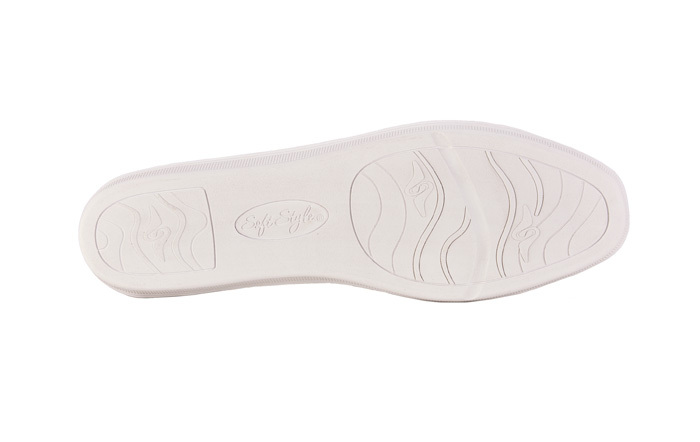 The plush Soft DelightTM insole sits atop a highly flexible, sure-footed rubber sole. Also available in pewter and denim. Originally $58.95. Limited stock in women's EW width in sizes indicated.